Same theme seems to be continuing this morning than yesterday. I seem to have some sort of theme for every week. We'll see what else I'll be doing today. Maybe a spike back jacket? I decided to make these cool spine themed earrings for me. Since I really like long dangle earrings. And of course I had to but small spike in the bottoms because I have not used any kind of spikes on my clothes for few days now. 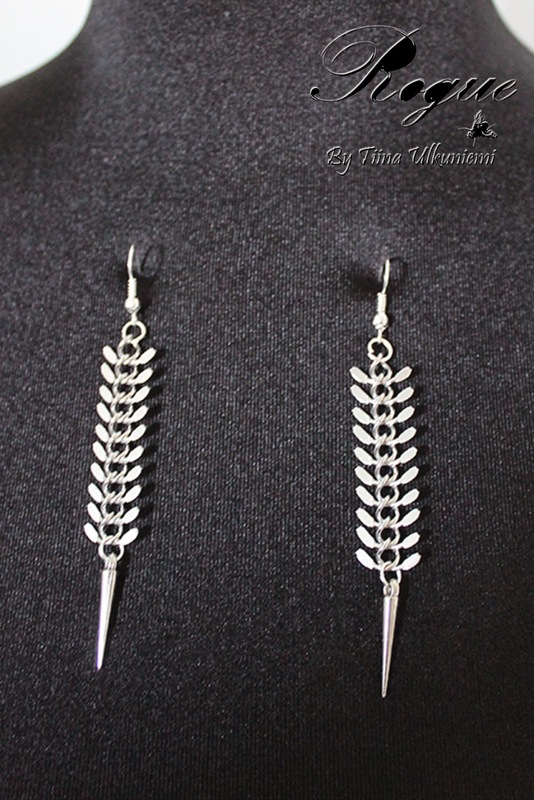 The earrings are really light weight even thought they are quite long. I decided to make these cool earrings available for you guys. They are 15 € + shipping a pair. 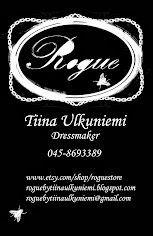 You can buy them from Ateljeekatu, Etsy or contacting me directly.